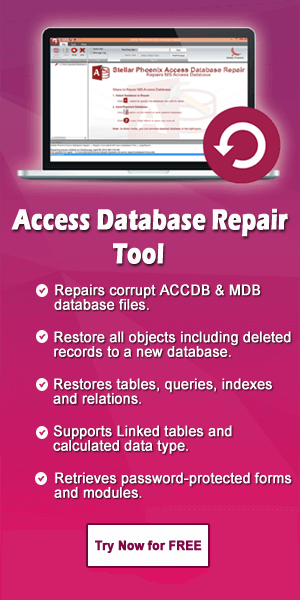 How To Recover Deleted Form In Access Database 2007/2010/2013/2016/2019? Summary: This particular blog emphasizes on the complete information regarding MS Access PivotTable. It also explains the steps required to create pivot table and fixes to resolve associated issues encountered meanwhile using this Access PivotTable feature. Summary: This blog targets on solving the MS Access Missing Tab mystery. Whether, it happened in any of the Access Database version 2007/2010/2013/2016. 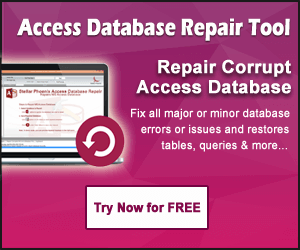 You will get to know the easiest way to resolve this Microsoft Access NOT showing Tabs issue. Learn 5 Different Ways To Create Forms In Microsoft Access Database …! Summary: This tutorial walks through the process of learning to create form in Microsoft Access application. Well there are several ways of creating a form in access database and this post points you to some of the common ways.